@ Bail Yes we provide you with Clay County, Florida bail bond information, online search to jails, courts, sheriff’s, inmate records, criminal lawyers. Confidential bail assistance 24 Hours 7 days. 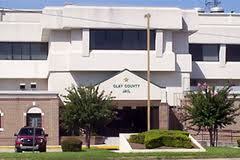 Cities in Clay County, Florida. Confidential state, federal, immigration bails bailbond assistance 24 hours 7 days.